is gonna be at SBF Anniversary 2013 @ Scape! Postal Charges: SGD $1.50 (Local mail). International Shipping, please enquire. LATEST!!! Keep your critical items dry at all time!! SBF Dry Bag (5 litres) has launched! You should have seen it at our recent SBF 9th Anniversary Celebration, packed in your goodies bag. This latest piece of customized SBF Dry Bag will keep your wallet, handphone and other important things dry and safe even when you are standing in the rain! It is completely 100% waterproof! Quality and design are our main concern when making this Dry Bag and it is relatively cheaper than what you can get on the market. Remember, this Dry bag is designed by Bikers, for Bikers. - SBF Dry Bag is designed to hold 5 litres. - SBF logo is silkscreened on for lasting quality. - All joint areas are sealed for waterproofing. 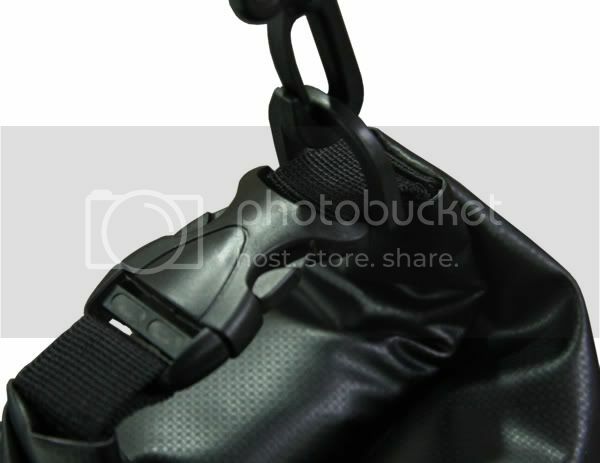 - High quality clip buckle. - Handy sling strap for ease of carrying. * EXCLUSIVE FOR SELF-COLLECTION ONLY! - Some got arm socks but very limited quantity so we be issuing first come first serve. And of course, the Dry Bag that you are buying at $25 now. Stocks are VERY VERY limited, about less than 20 bags left so pls fill out the form if you wish to get it. Just place my order via the link. Hope to hear from you soon. Last edited by gkdozer; 27-01-2013 at 09:32 PM. what is the tarpauline rating on the material? Most people go through life following the crowd. They go their own way. Ups! Great Bag! handy and waterproof! Do u still have it in stock? Hi, interested party. Still have stock? Thanks. Alright. Placed an order already. Hope to hear from u guys soon. Yea, me too, placed an order yesterday and still waiting for a reply from u guys. 81986427. Thanks. Ah ha.. order liao. Hope still got stocks. Better be safe than sorry.. Long lives riders..
SBF Merchandise are readystock unless otherwise stated. Please kindly fill up the form to order. Please note that all slots of goodiebag promotion items have been taken up! We are only left with the SBF 9th Anniversary long sleeves tshirt (M, L, 2XL, 3XL). Thank you for the great response! Cheers! Get hold of our very own SBF Merchandises today! is the bag still on? Some biker once said " If u haven't been to Gerik, U haven't been touring in Malaysia". HAte My Gold Rims and Red shocks~!!! 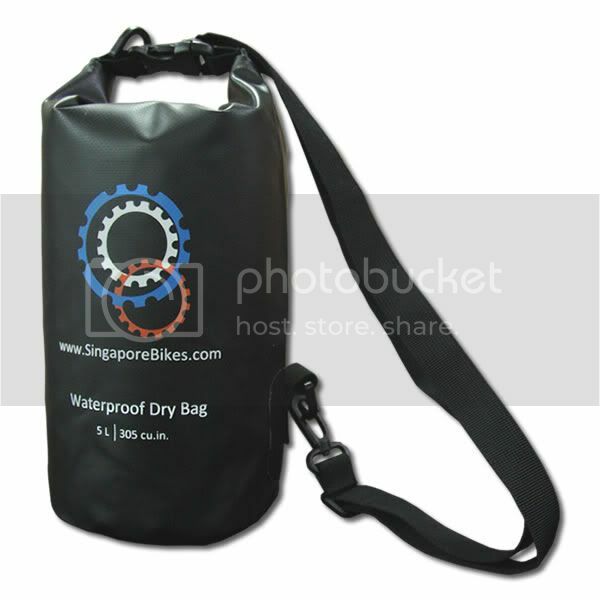 Hi SBF Coordinator, may i know do you still have stock for the waterproof dry bag? Yes we have. But the SBF anniversary goodies bags are finished, we do have the tshirt still which we will still give out FOC first come first serve. Limited sizes only. Did you check your spam mails? Maybe goes redirected to there. Yes, sure. Please fill up form to order. hi i ordered twice but no response on the SBF moderators. I am unable to go to the form page? Bag still available? Loves a Yammie... It always touches my heart!!! Hello, would like to know if there are stocks available for the dry bag still? If yes, appreciate if you can contact me at bentwh@hotmail.com or PM. Thank You. Pls PM me if there's availability of the dry bag. thanks. very interested. Which are beautiful because they give the Heroes of Motorcycling the POWER to live life fully! To Race In Battle And Life! what is the tapaulin rating on the material and at the seams? Hi is waterproof dry bag still available? look fwd to ur reply. Hi,is the long sleeves tshirt still available? Hi any replies in here? Is the dry bag still available? i would like to order one. Pls quickly reply. Hi, interested to buy the bag.. is it still available? Yes it is still available. Sorry for the mis-link in the URL. Link is updated and also added to the top menu of the forum. If anybody really excited to know more about me then Please visit my profile..Thanks!!! hi there . is the bag still available? Hi is the dry bag still available? Hi!!! Is it in stock?? 96561473... thx. upssss for e post! NICE!!! Hi bro, is the waterproof bag bag available? Where to self collect? Sms me details 90513252. Very sorry about the late reply. Yes we do have stocks, please kindly place your order by clicking on the "Merchandise Order" link at the top menu of the forum. We allow cash on collection or postal (charges apply). if Life ain't any Better..
seek Death & u'll feel Lighter..
i want to purchase Waterproof Dry Bag*1, your link not working. try many times. I bought my first bag here, so easy.